Has your confidence started to fade due to tooth discoloration? Although it is a natural part of the aging process, you could suffer from premature changes to the color of your teeth due to several factors, such as smoking, poor oral hygiene, or the foods and drinks you consume. Now, you are left feeling insecure when you smile. You have tried over-the-counter whitening products, but they have not given you the results that you want. You are not out of options. You can restore a bright, white smile with the help of cosmetic dentistry. 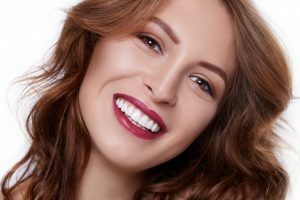 To bring new life to your smile and how you feel about yourself, you can benefit from a professional whitening treatment. Unlike products that you buy over-the-counter, those from your dentist contain a highly concentrated whitening agent to deeply penetrate your enamel. They will not just resolve surface stains, but stubborn discoloration to get your teeth several shades whiter. In-Office Treatment: With an in-office treatment, you will achieve drastic results after just one appointment. The whitening agent will be applied to your teeth and a special light is used to activate it. On average, you can expect the entire process to take about an hour. Take-Home Kit: Now, you can get in-office results from the comfort of your own home. Your dentist will provide you with custom-fit trays and the professional-strength whitening agent to use for two weeks. Sometimes, professional whitening treatments are not enough to remove tough stains, like those caused by medications or tobacco use. You can still get the bright, white smile that you want with porcelain veneers. By bonding the thin shells to the front surfaces of your teeth, they will instantly become whiter. In addition, you can resolve other cosmetic imperfections, like chips, cracks, or alignment issues. Overall, your teeth will become whiter and shapelier to revamp your confidence. With the use of porcelain, the procedure is now minimally invasive because less of the tooth’s structure is removed during the bonding process. Not to mention, porcelain closely mimics the appearance of enamel and it is stain-resistant, so you will have natural-looking results that last. In as little as 2 appointments, you will benefit from a long-term solution to combat your tooth discoloration. Do not let tooth discoloration cause you to feel insecure about your smile. Turn back the hands of time with a cosmetic treatment that is right for you. Since 1982, Dr. Mark M. Farthing is a trusted source for high-quality dental care. In addition to earning his dental degree, he has continued his training in advanced studies, including occlusion and cosmetic dentistry. He offers the solutions you need to achieve a healthy, beautiful smile. 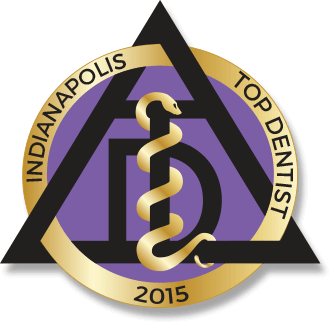 If you are ready to reverse tooth discoloration, it is time to schedule your consultation with Indianapolis Family Dentistry today.